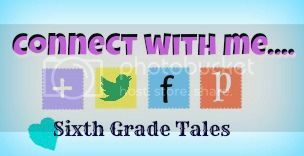 Sixth Grade Tales: Exciting News! It's been a while since I've had a chance to post which is sad because I've taken a lot of pictures of things that my students have been doing recently. A few weeks ago I became a Mary Kay Independent Beauty Consultant. I'm super excited about this new side job so I've been working hard on getting everything set up. I'd love for you to join me as I get started on this new adventure, by liking my business facebook page. Right now I have a giveaway going on for a free mascara! All you have to do is like and share my page for a entry into the drawing. If your friends like my page as well, you will get extra entries! We had field day earlier in May. Our whole team ordered matching shirts which turned out great. 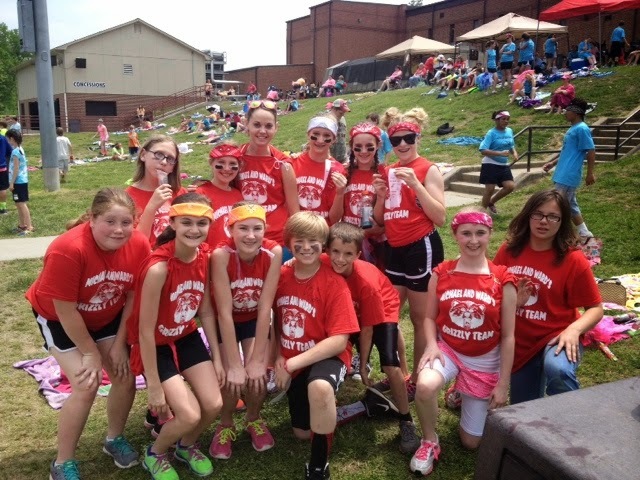 My class won 3rd place overall so I was very happy. We all had a blast! One really fun activity I did in language arts was comparing genres. 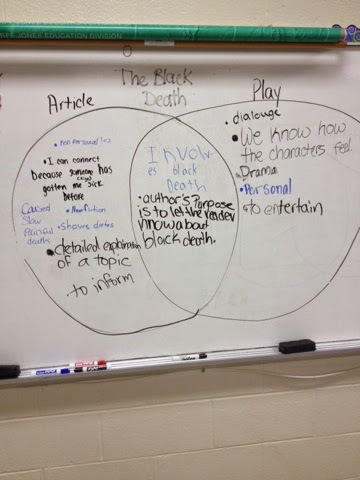 In social studies we were studying the middle ages and the black death so we looked at a play and an article. I then drew a venn diagram on the board and talked about how the mood and tone of each piece was different. My students always love acting out plays. 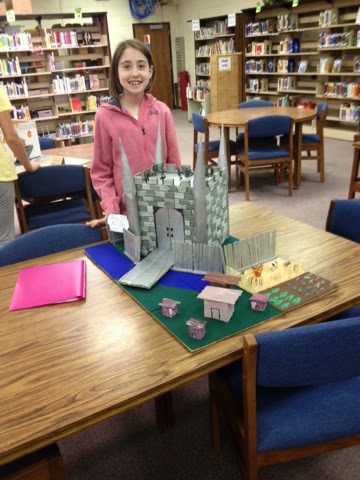 In social studies I offered an extra credit project where students had to build their own kingdom. 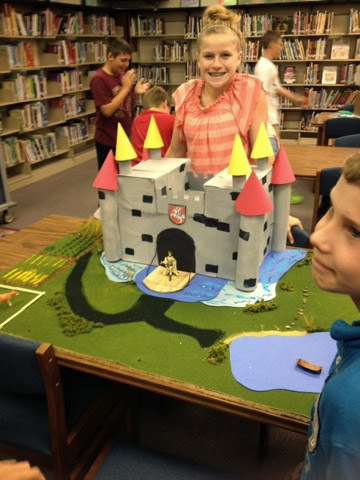 I was so proud at how elaborate my students got with their castles. As they presented their castles they had to talk about the laws they created for their kingdom and what each person living on the manor did for a living. This student was so creative. She used clay, popsicle sticks, cardboard, felt and many other things! 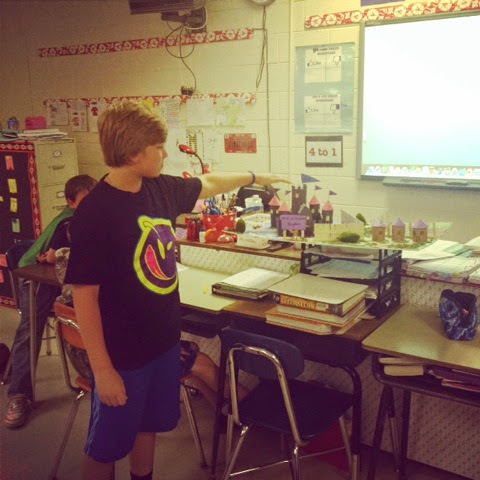 Next week is the last week of teaching before EOG's begin. 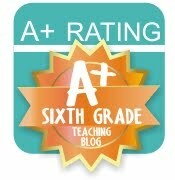 It's going to be crunch time but I'm excited to see how my students do this year. They have been a great group of kids!